We’d love your help. 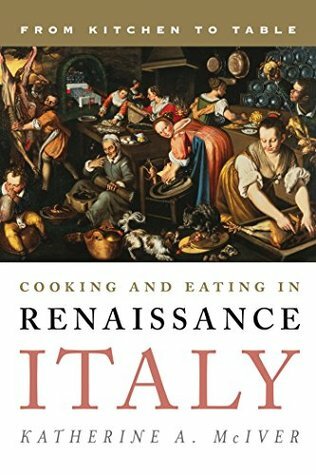 Let us know what’s wrong with this preview of Cooking and Eating in Renaissance Italy by Katherine A. McIver. To ask other readers questions about Cooking and Eating in Renaissance Italy, please sign up. Lots of useful period detail, a solid comprehensive overview, and very good on citing sources. I can't think anyone would want to read this except as research, but as research it was extremely useful. Katherine A. McIver received her Ph.D in Renaissance and Baroque art from the University of California, Santa Barbara in 1992. She is Professor Emerita of Art History at the University of Alabama Birmingham.